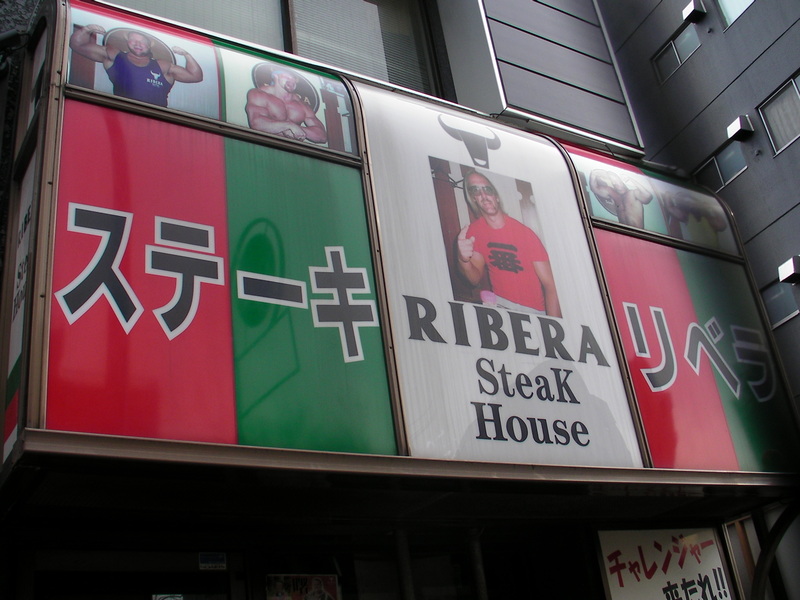 Ribera Steakhouse in Gotanda | The Badical One. This might have been my favorite spot on the whole trip. I am a huge wrestling fan as well as a wrestler in training. This steakhouse is known around the wrestling world and has been visited by some of the most famous wrestlers as well as sports figures in the world. It was fairly hard to find with not knowing the area. This is from our first stop by the shop, we didn’t know that it was only open from 6PM-11PM Tuesday – Sunday. The place inside is magical, its filled to the brim with different photographs of famous sports figures. It only has about 10 seats, we were lucky and got there right as they opened. And to our surprise we got to meet Akebono Taro who had brought some businessmen to the restaurant. I did not want to bother him while he was eating but as we were getting ready to leave he asked where we were visiting from, I told him we were on our honeymoon from Orlando, FL. I told him it was a pleasure to meet him and that I was training to be a professional wrestler myself. He was very polite and spoke great English, hes a Hawaiian native after all. 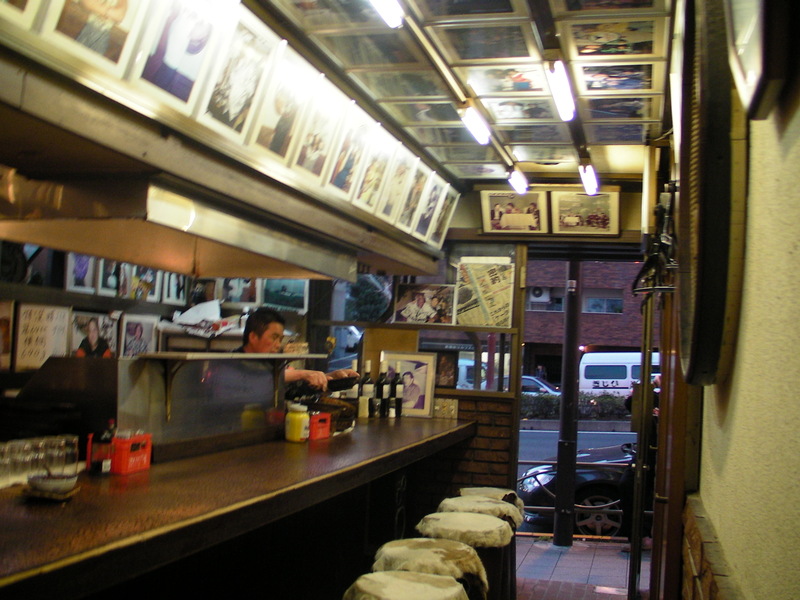 Anyways that was just my personal story about visiting, now let me get to what this place is famous for….STEAK! 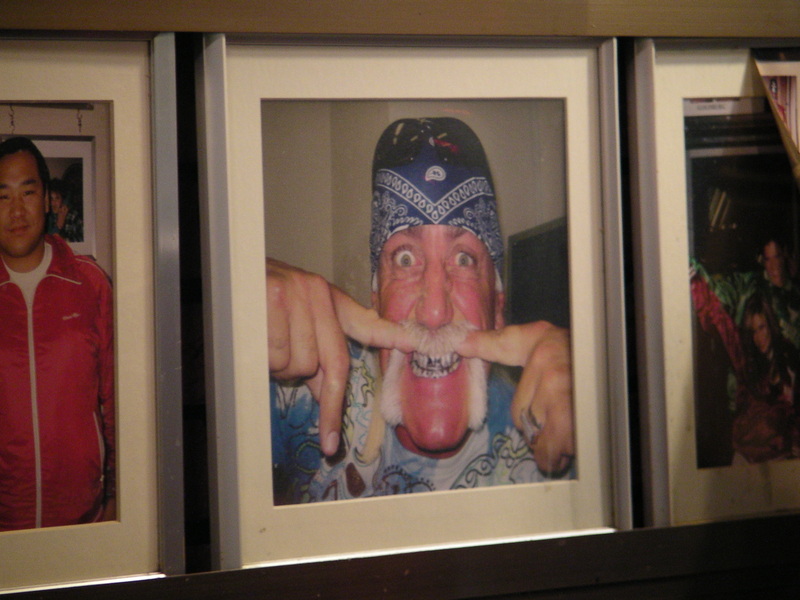 A Closer up picture of the sign, as you can see that’s Hulk Hogan. In another picture in the window is Bob Sapp. THIS IS THE BEST STEAK IVE EVER HAD IN MY LIFE. I swear to god. There is only a few different items on the menu. The 1/2lb, 1lb, or the 2lb. I got the 1lb and Laina got the 1/2lb…..which I hate half of. The whole place is ran by this one guy, very very nice gentleman, didn’t speak a lot of English but it was enough to ask us our order and he understood when I said it was the best steak I had ever had in my life. This is me standing at the very back of the place, not very much room at all, but screw that, doesn’t matter! 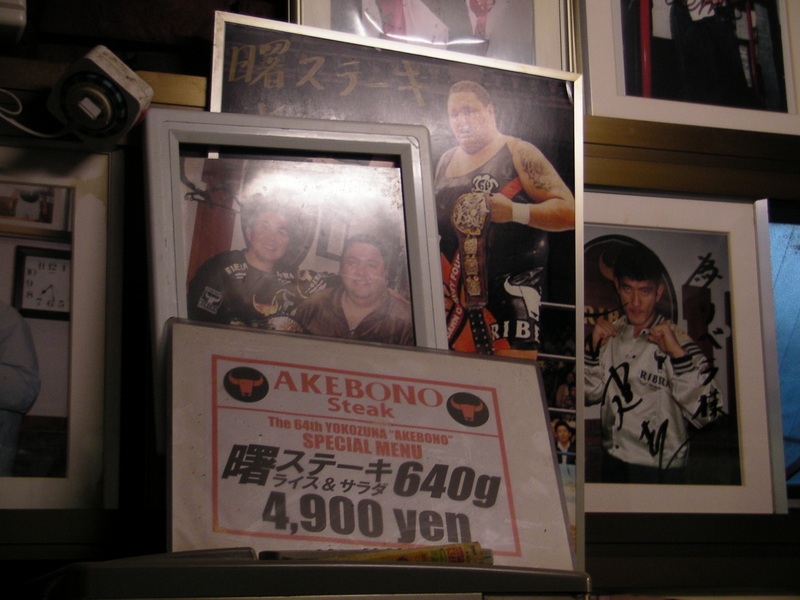 Picture of Akebono, hes even got his own special steak! Really good picture of Hulk. Some more of the wall, you can see the menu there as well. 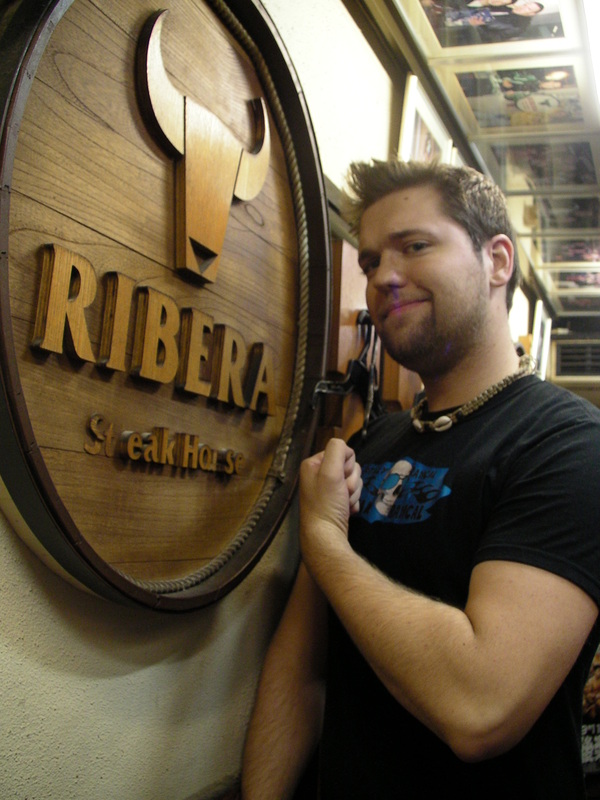 There’s me, in my Totally Radical Brain Badical t-shirt, doing what not many wrestlers get to do, stand in the legendary Ribera Steakhouse! 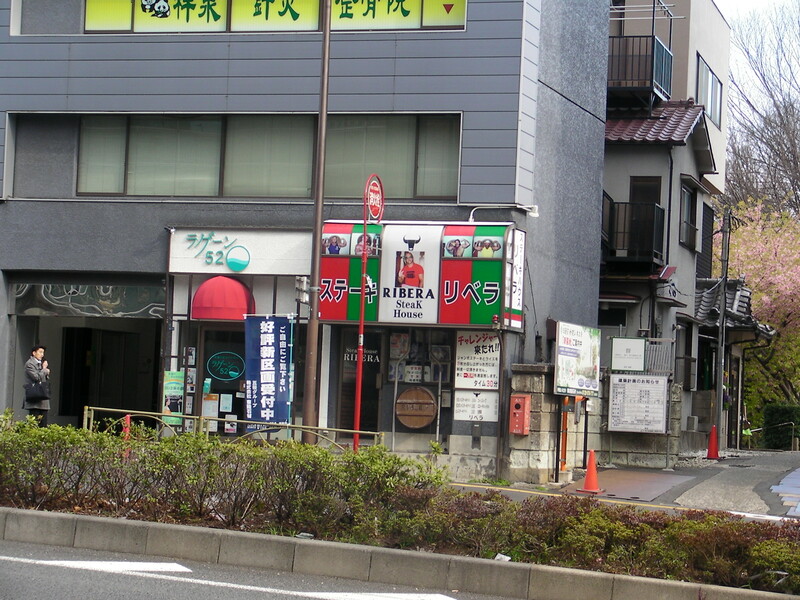 I tried to get the actual address of the restaurant, but could not find it in Google, so I went to street view and found it myself. I believe this is for the building, but if you looked it up and got to that location, you could see the entrance. I highly highly highly suggest visiting this place, it truly is amazing. Every time I will ever go back to Tokyo I will make sure to go here, its just that good. 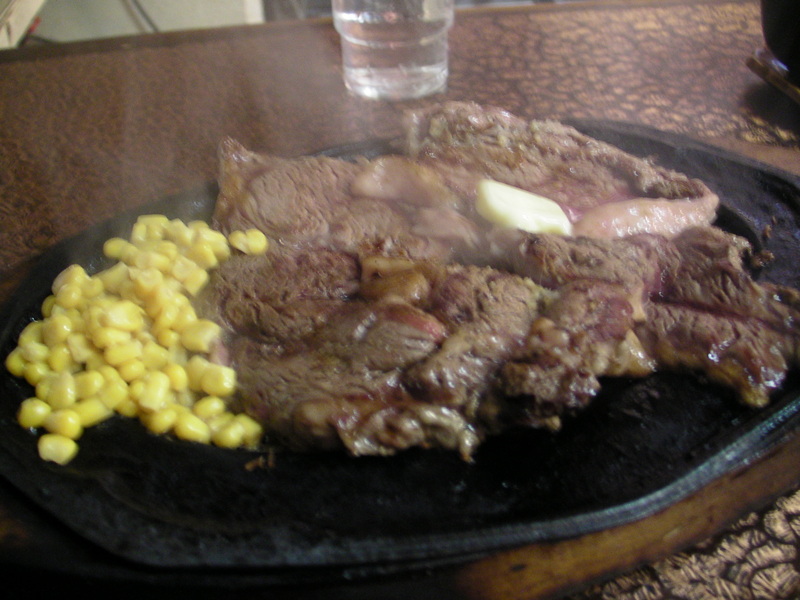 Posted by brianbadical on February 25, 2013 in Uncategorized and tagged Akebono Taro, Brian Badical, Gotanda, Japan, restaurant, Ribera Steakhouse, steak, steakhouse, Tokyo, wrestling.